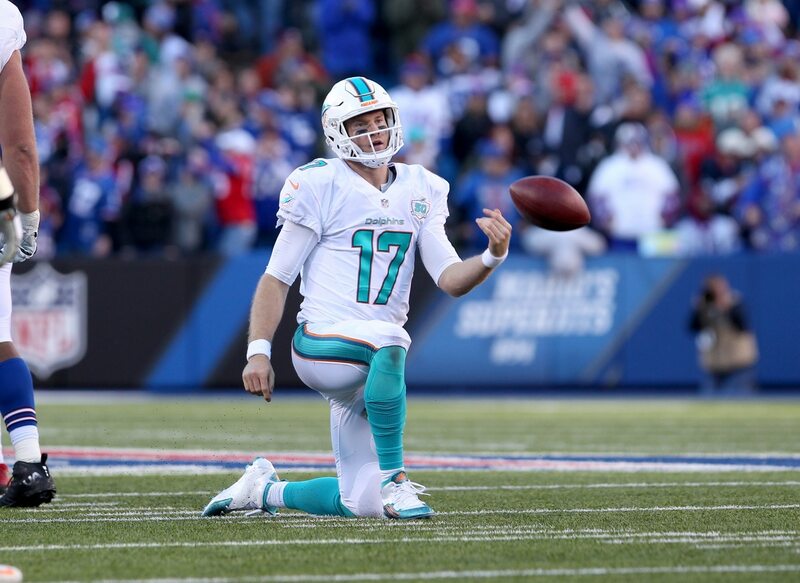 If you needed any further proof that the Ryan Tannehill era in Miami was coming to an end, we have you covered. Barry Jackson of the Miami Herald shared on Monday ahead of the Brian Flores introductory presser that the team has removed a photo of Ryan Tannehill that’s been up in the press room in previous years. A photo of Ryan Tannehill's has been removed from team press room. Not that anybody needs any clues, with Tannehill to be released or, less likely traded. The Dolphins would, of course, love to find a trade partner for Tannehill. However, he’s due to make over $26 million in 2019 and still has two years left on his contract. Any team that’s interested in his services, therefore, would be more inclined to just wait for the Dolphins to release him than give up draft picks for him. With that in mind, it seems like only a matter of time until Miami does release Tannehill. And based on the latest coming out of South Beach, they’re going to be more than content to just tank in 2019 as they aim for a certain college football star who’s coming out in 2020.